A story of 6 days with 5 Japanese gathered around a small sparkling pool at Chiang Mai in Thailand. 4 years ago, Kyoko started to live alone in Thailand, leaving her mother and her daughter, Sayo, in Japan. Just before the graduation of University, Sayo sets foot on Thailand to visit her mother. However, contrary to her expectation, it was not her mother who came to pick up Sayo, but Ichio who works for Kyoko. After 4 years, Sayo finds her mother not changed at all. Kyoko always lives her own way no matter where she lives or whom she lives with, and it perplexes Sayo though she knew it. 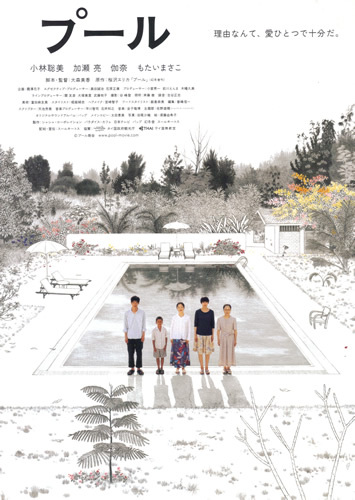 At a guest house Kyoko runs, there also were a Thai kid called Bee and a Japanese woman called Kikuko who has mysterious atmosphere, and Sayo can hardly accept her mother living happily with those unknown people.